Captain Juno Eclipse was a female Imperial pilot during the Great Jedi Purge. Following the Bombing of Callos, an early battle in the history of the Galactic Empire, she was tasked with piloting the Rogue Shadow, transport ship of Galen Marek, Darth Vader's secret apprentice. After being branded a traitor by the Dark Lord, Juno joined Marek on his mission to create a Rebel Alliance. During their adventures, Juno and Marek fell in love, but Marek seemingly died fighting the Emperor. 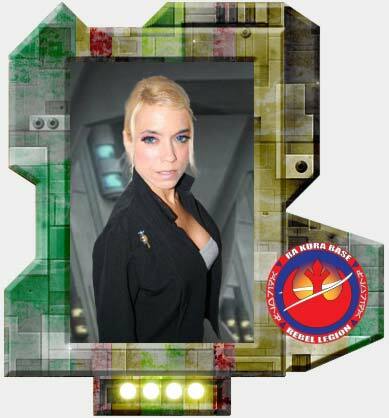 Juno was present at the birth of the Alliance to Restore the Republic and went on to become one of the first commanders of the Alliance and the captain of the Salvation.